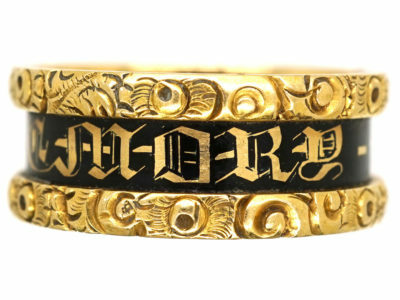 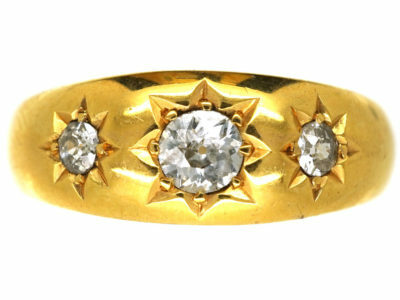 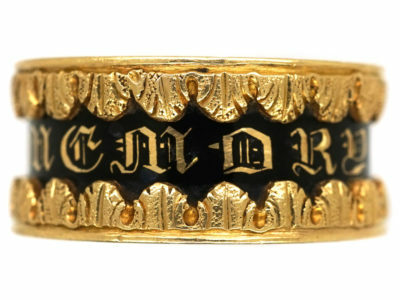 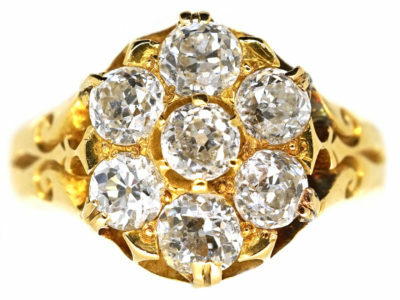 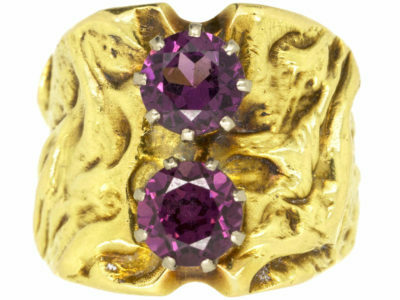 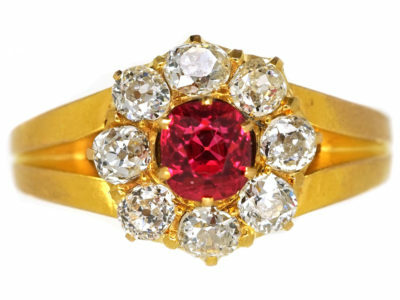 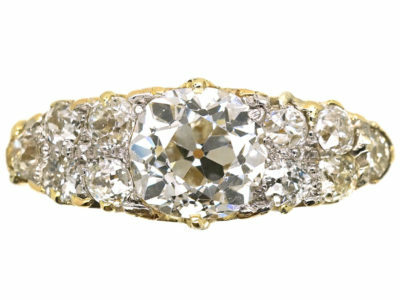 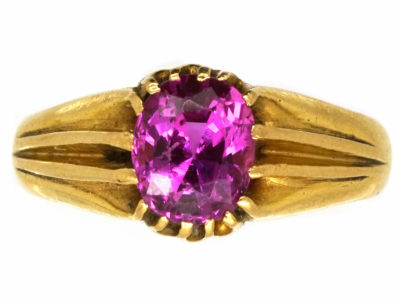 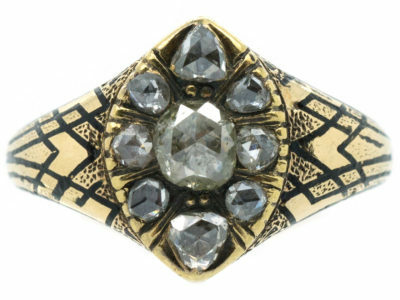 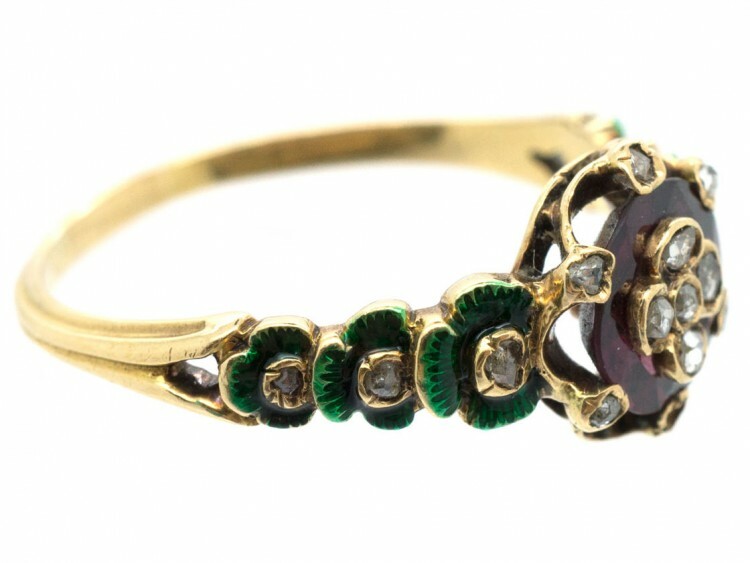 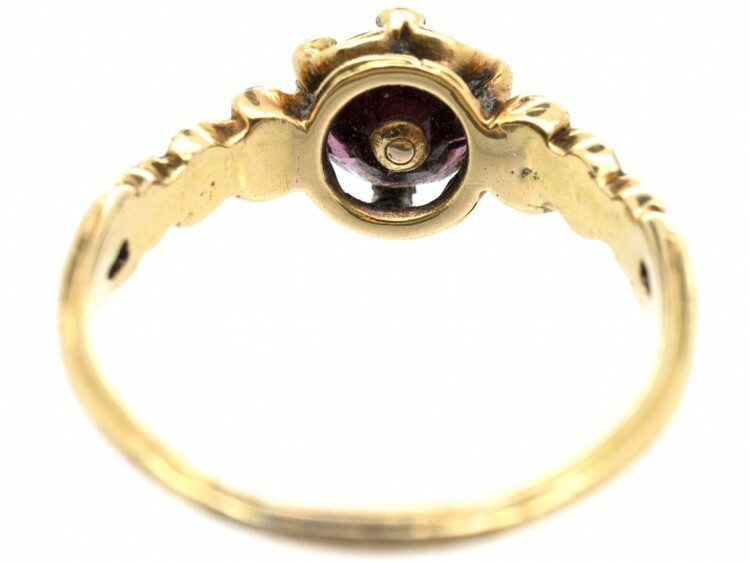 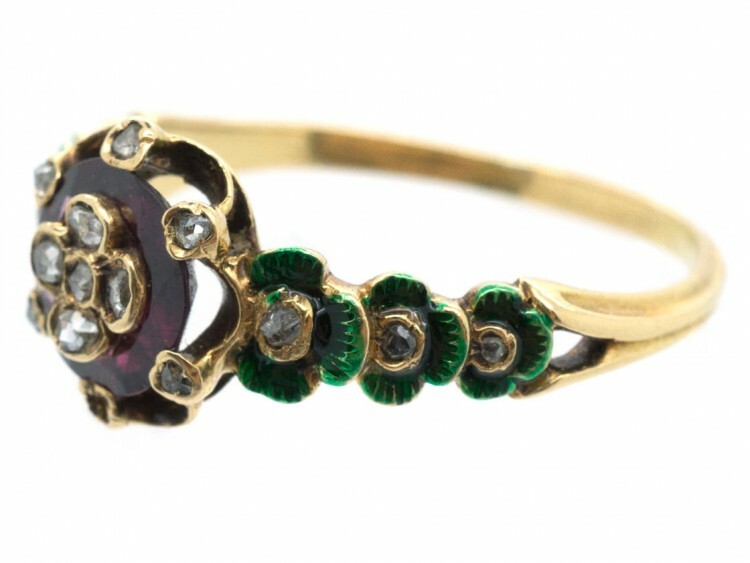 This ring was made circa 1870 in a period called the Holbeinesque revival. 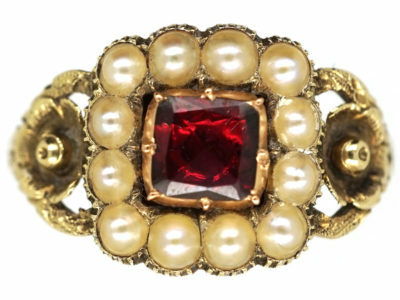 Rings, pendants, brooches and earrings were made in the neo-Renaissance or Renaissance Revival style, and once again became fashionable in the 1860s. 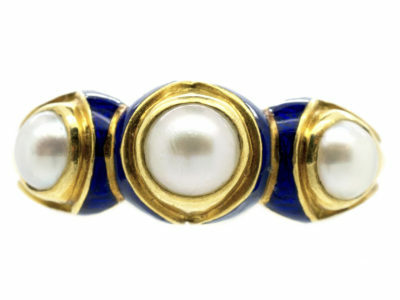 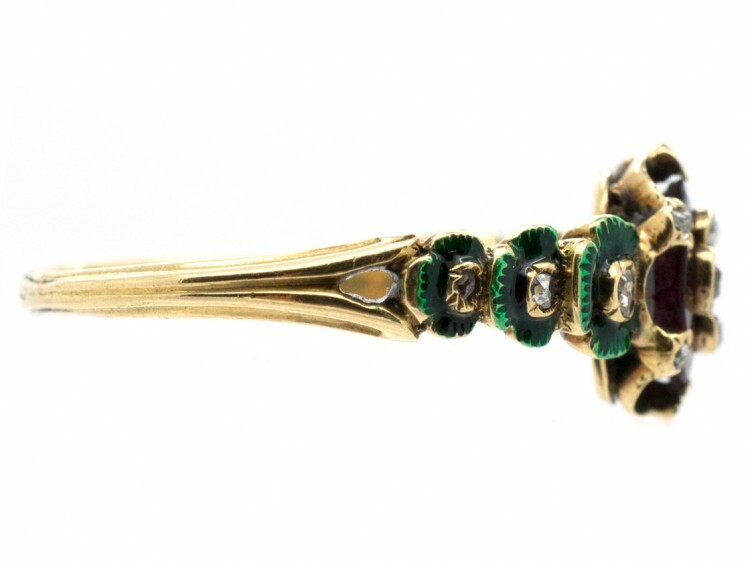 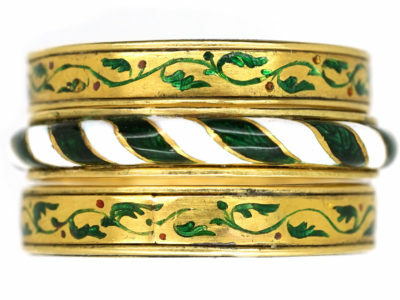 The designs differ from the older stylised and pious neo-Gothic jewellery, in that they are extravagantly opulent – this richness of form and colour which had appealed to the Tudor court was rediscovered by Victorian jewellers and their patrons, reviving a fashion that flourished into the early 1900s. 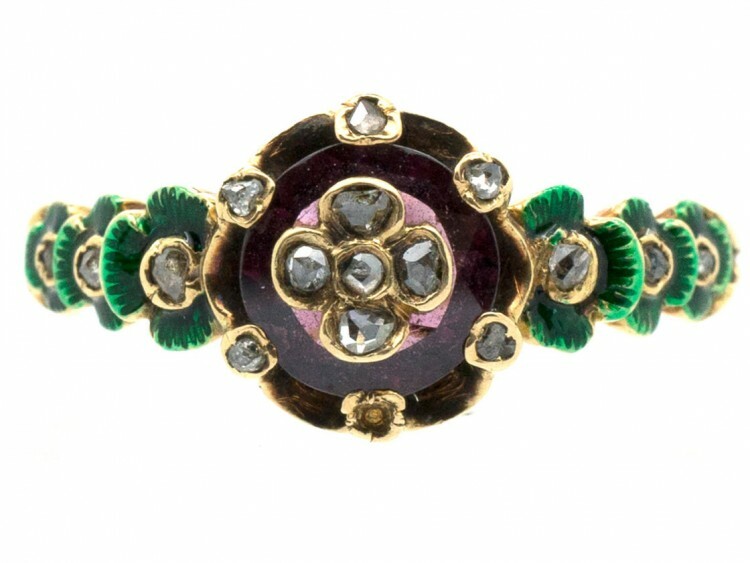 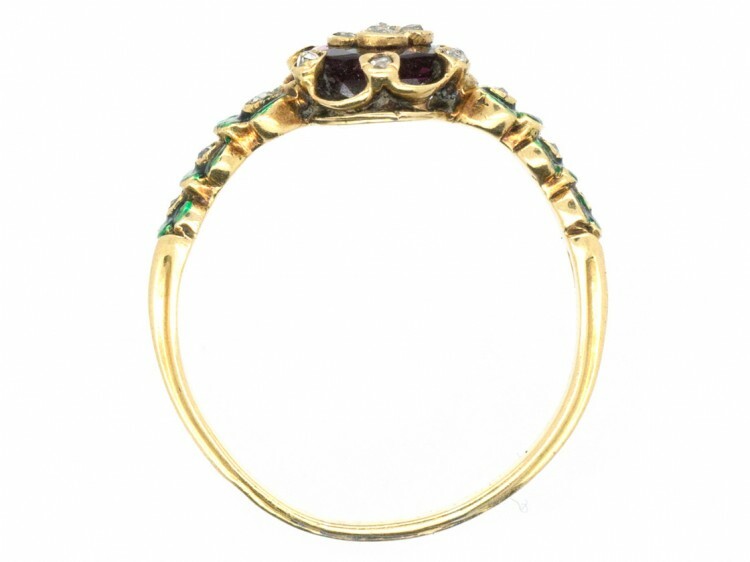 Here you have the rich green enamel and the deep purplish red of the garnet punctuated with small rose diamonds.